The ski resort Saas-Fee is set among the highest mountains in the Swiss Alps. The car-free glacier village is often referred to as the "Pearl of the Alps". On a ski holiday in Saas-Fee you can count on good snow conditions. The skiing area reaches up to 3,600 meters. At this high altitude, and with the resort’s glacier ski area, a reliable snow cover is guaranteed, and many kilometres of slopes offer skiing opportunities for everyone. 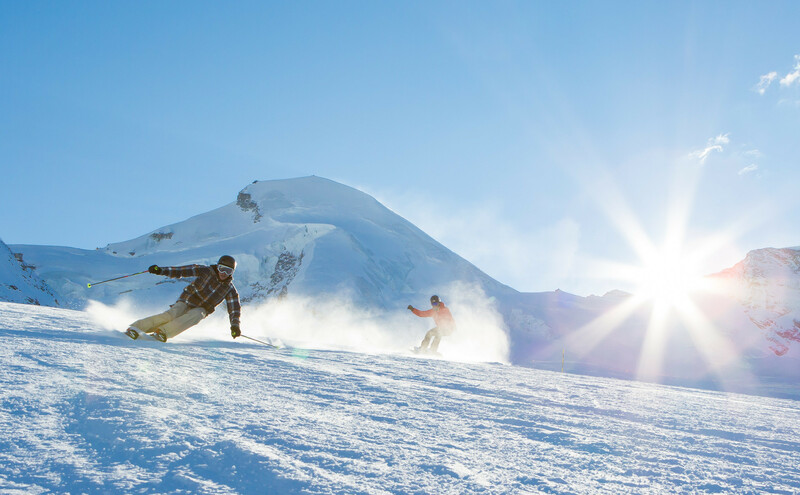 While beginners practice in the village, freestylers have fun in the snow park at the Mittelallalin and carvers make the most of the sweeping glacier slopes. And there is great skiing to be had in summer, as well. After a day on the slopes call in at one of the many après-ski and snow bars in the village. Get Snow Reports, Powder Alerts & Powder Forecasts from Saas Fee straight to your inbox!